As part of the simplification of India's visa system, the Ministry of Home Affairs has launched a more comprehensive e-Tourist Visa program under a new name, 'e-Visa.' The new program also makes e-Visas available to applicants from 11 additional countries and 11 new ports of arrival. As part of the simplification of India's visa system , the Ministry of Home Affairs has launched a more comprehensive e-Tourist Visa program under a new name, 'e-Visa'. The new program also makes e-Visas available to applicants from 11 additional countries, extending the program to a total of 161 countries and 11 new ports of arrival. Visitors eligible for the e-Visa are those traveling to sightsee, visit friends or relatives, those on short medical visits or those participating in short-term yoga programs. While on the e-Visa, business visitors can set up industrial/business ventures, purchase or sell products, attend technical or business meetings, recruit manpower, participate in exhibitions, business/trade fairs, provide expertise with an ongoing project and deliver lectures under the Global Initiative for Academic Networks (GIAN) program. The new designated ports of arrival are Bagdogra Airport, Calicut Airport, Chandigarh Airport, Kochi Seaport, Coimbatore Airport, Goa Seaport, Guwahati Airport, Mangalore Airport and Seaport, Nagpur Airport and Pune Airport. Travelers using the e-Visa program must enter India via designated ports of arrival, but can exit from any authorized Immigration Check Post. The e-Visa will be granted with a validity of 60 days from the date of arrival, and it cannot be extended. Foreign nationals cannot use the e-Visa to visit Protected/Restricted and Cantonment Areas. The e-Visa application process remains the same. However, applicants can now choose between three e-Visa sub-categories when applying: e-Tourist Visa, e-Medical Visa and e-Business Visa. Foreign nationals traveling on e-Tourist and e-Business Visas will be granted double entries, while those under the e-Medical Visa will be granted triple entries. Travelers will be permitted to combine visa types if their visit covers more than one purpose. Applicants can now travel to India within 120 days of applying for the Electronic Travel Authorisation (ETA), an extension from the previous 30-day window. Further, foreign nationals can utilize the e-Visa program twice per calendar year. Upon arrival to India, foreign nationals must present their ETA at the airport immigration counter, complete biometric formalities and obtain an e-Visa stamp in their passport. Foreign nationals must carry passports with a validity of at least six months and a return or onward ticket. The e-Visa program is not available to Diplomatic/Official passport holders and foreign nationals of Pakistani origin or traveling with Pakistani passports. The flexibility of the new e-Visa program makes travel to India easier for eligible foreign nationals. We worked closely with Fragomen Immigration Services India (Pvt.) Limited ("Fragomen-India") to prepare this alert. It is for informational purposes only. 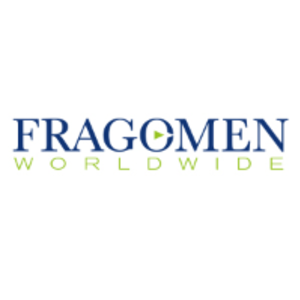 If you have any questions, please do not hesitate to contact the global immigration professional with whom you work at Fragomen or send an email to IndiaQueries_NewPolicy@fragomen.com.